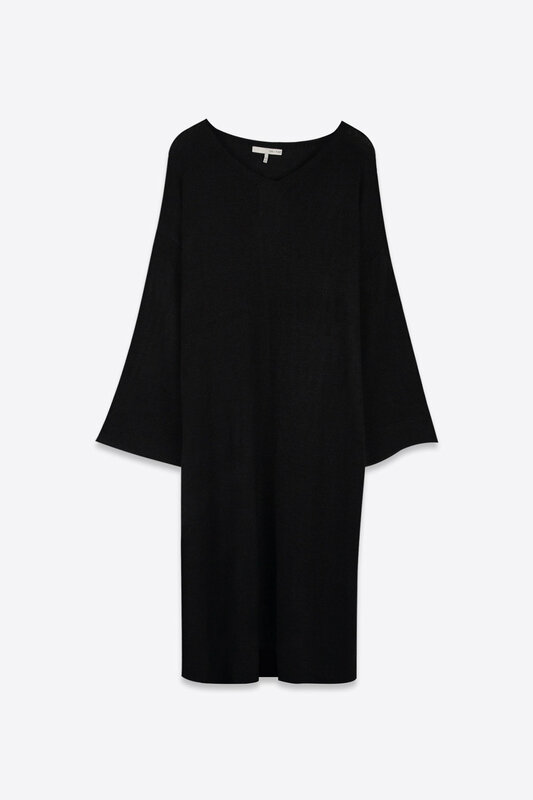 Lightweight and finely knit, this sweater dress is an ideal transitional piece for the upcoming spring season. Featuring wide cropped sleeves, dropped shoulders, and an elongated silhouette, look effortlessly sophisticated by pairing this piece with heels. Fabric Content: 100% Acrylic Care Instructions: Hand wash cold, lay flat to dry, or dry clean. No tumble dry.